Controversial media personality, Daddy Freeze condemned the performance of Regga musician, Majek Fashek at Commonwealth of Zion Assembly, COZA. 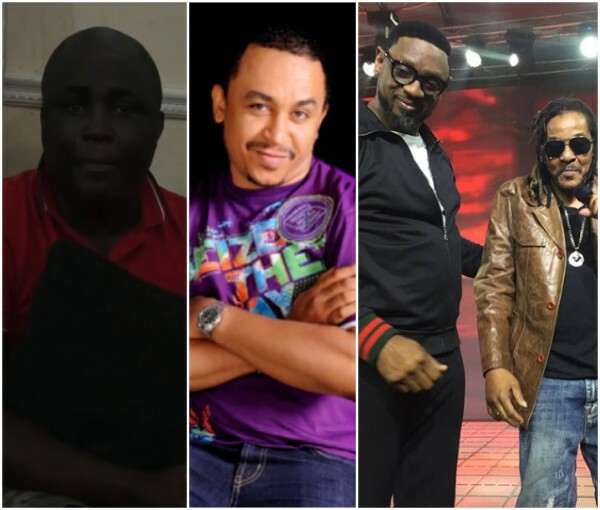 CELEBRITY‘I will beat you up’ – Majek Fashek’s manager threatens Daddy Freeze for criticizing his performance at COZA. Controversial media personality, Daddy Freeze condemned the performance of Regga musician, Majek Fashek at Commonwealth of Zion Assembly, COZA, last week. Freeze said it made no sense for a secular artist to perform in such gathering as Christian altars are supposed to be sacrosanct. Majek’s manager has now replied him by threatening to beat him up if he ever mentions Majek’s name on social media again. There’s nothing wrong with a world class legend Majek Fashek who’s music sends the right message to be invited to perform in any church. To Daddy Freeze u need to do your research properly b4 wagging your mouth and speaking like a Kid. And as Majek has said you need to wake up for the kingdom of GOD is at Hand. @biodunfatoyinbo thanks 🙏 you once more for impacting positively into the life’s of Young Nigerian and making the believe in themselves. ; Drop your reaction to this and like our facebook page!! Share with the people to get the best free ringtones and quality. Hope my new update brings a new look to the ringtone world. Thank you for your attention.